I’ve been planning to blog a LA UNION Travel Guide since I returned from a trip with a friend this year. Although I’ve been there before due to a blogger’s trip, I didn’t get to explore the attractions because our schedule was tight. So when I revisited Abra recently, we made a side trip to La Union on our way back to Manila. Fortunately, the weather cooperated so we got to explore the top tourist spots in La Union for first-timers. 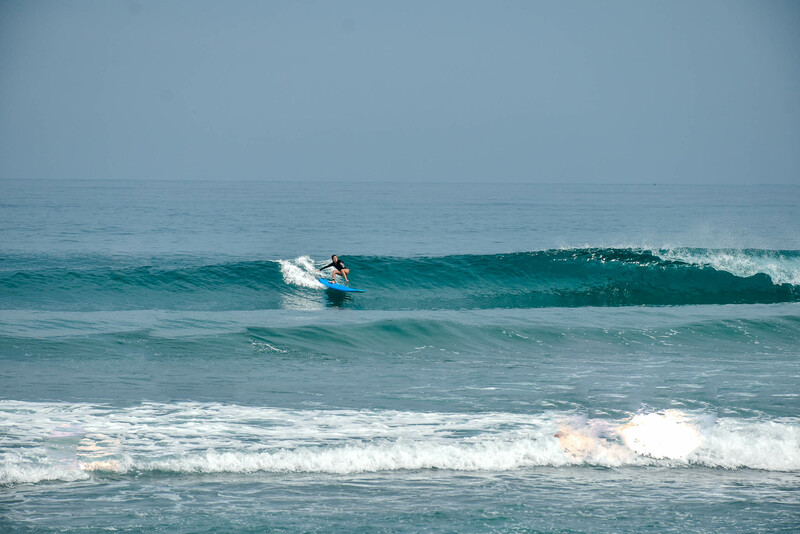 Since the main reason tourists go to La Union is surfing, the best time to visit is during the surf season in La Union – July to October due to the South Swell and November to March due to the North Swell. But this doesn’t mean you have to skip it during the off-peak months because this province is more than just a surfing destination. 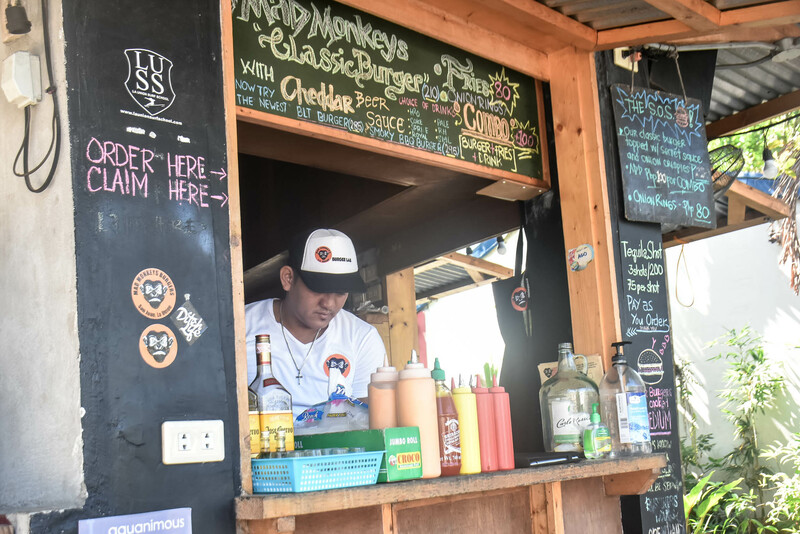 La Union is a year-round destination because of the wealth of activities you can do here aside from surfing and I will discuss that in this blog. If you are coming from Manila, you can ride a bus to San Fernando, La Union like Partas, Viron and Dominion. PHP 436 (USD 9/ SGD 12/ MYR 37) to PHP 524 (USD 10/SGD 14/MYR 44) depending on the type of bus. Travel time is about 5-7 hours depending on traffic and where you are coming from. From San Fernando, you can take a jeep to Urbiztondo Beach or San Juan, La Union for PHP 11 (USD 0.22/SGD 0.30/MYR 0.93). Alternatively, you can charter a tricycle for PHP 50 (USD 1/SGD 1.35/MYR 4) or PHP 25 (USD 0.49/SGD 1.35/MYR 4.23) per person. Travel time is about 25 minutes. Partas Bus now offers direct trips from Manila (Cubao/Pasay) to San Juan, La Union (SEBAY). First trip from Pasay to San Juan, La Union is 12:00 AM and second trip is at 5:00 AM. Meanwhile, first trip from Cubao to San Juan, La Union is 1:00 AM and 2nd trip is 6:00 AM. Bus fare is PHP 524 (USD 10/ SGD 14/ MYR 44). Travel time is roughly 5-7 hours. For return trip from SEBAY San Juan, La Union to Manila, first trip from San Juan, La Union to Cubao or Pasay is at 3:00 PM and second trip is at 10:00 PM. On the other hand, first trip from San Fernando, La Union to Cubao or Pasay is at 3:30 PM and second trip is at 10:30 PM. Bus fare is PHP 524 (USD 10/ SGD 14/ MYR 44). Travel time is roughly 5-7 hours. *Special thanks to Karen Eugenio Ragudo for the heads up. Alternatively, you can ride a bus bound for Vigan or Laoag and tell the conductor or driver you are getting off at Urbiztondo Beach, San Juan, La Union. Bus fare is roughly PHP 436 (USD 9/ SGD 12/ MYR 37) to PHP 524 (USD 10/SGD 14/MYR 44). Ride a bus to San Fernando, La Union. Bus fare is approximately PHP 436 (USD 9/ SGD 12/ MYR 37) to PHP 524 (USD 10/SGD 14/MYR 44). Travel time is about 5-7 hours. In San Fernando, you either ride a jeep to Urbiztondo Beach or San Juan, La Union for PHP 11 (USD 0.22/SGD 0.30/MYR 0.93) or hire a tricycle for PHP 50 (USD 1/SGD 1.35/MYR 4) or PHP 25 (USD 0.49/SGD 1.35/MYR 4.23) per person. Travel time is about 25 minutes. Most tourists traveling to La Union pick either San Juan or San Fernando as a base. 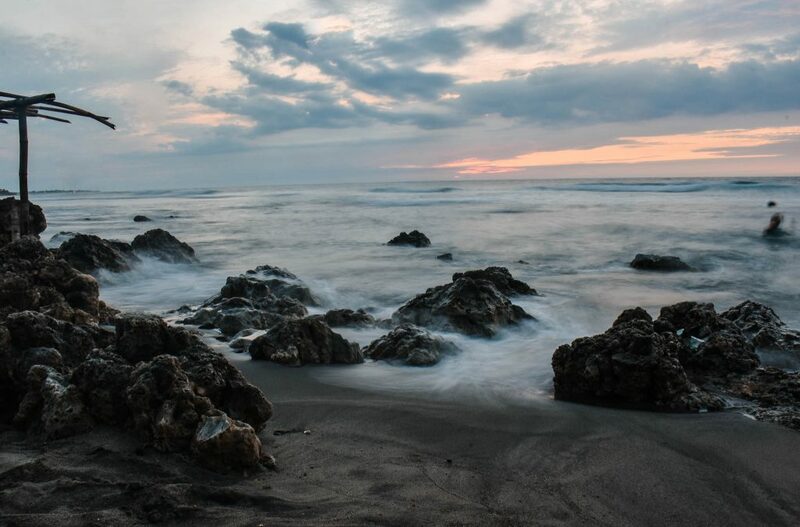 We chose San Juan La Union since most of the budget and mid-range hotels and resorts are concentrated here. Not to mention its proximity to the surfing beach – Urbiztondo Beach. But San Fernando also offers good options for travelers who are willing to spend more for comfort. Here’s a list of the best budget hotels and resorts you can find in La Union. As I said earlier, there’s a lot more things to do in La Union than surfing. Reason why it beckons many travelers especially millennials . 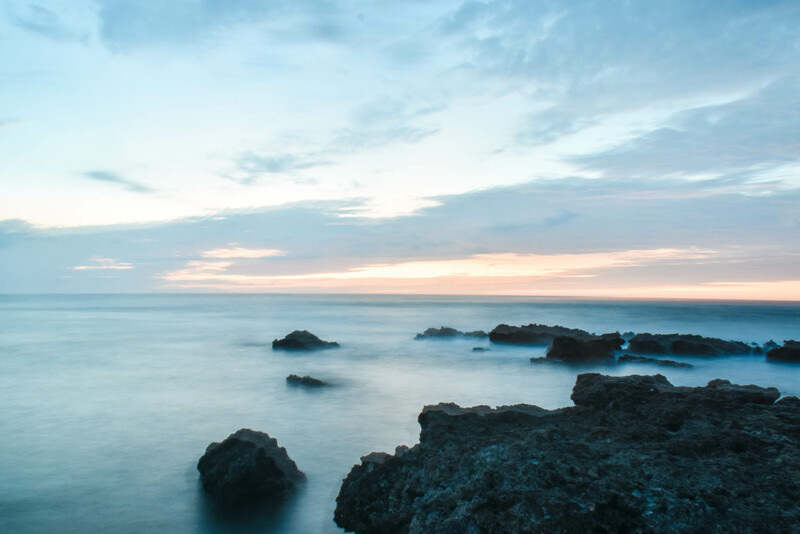 I’ve handpicked some of the top places to see in La Union. All these can be visited in 2 days, perfect for your weekend escape ..
La Union is synonymous to surfing, and the beach that tourists actually flock to in this massive province is Urbiztondo Beach. 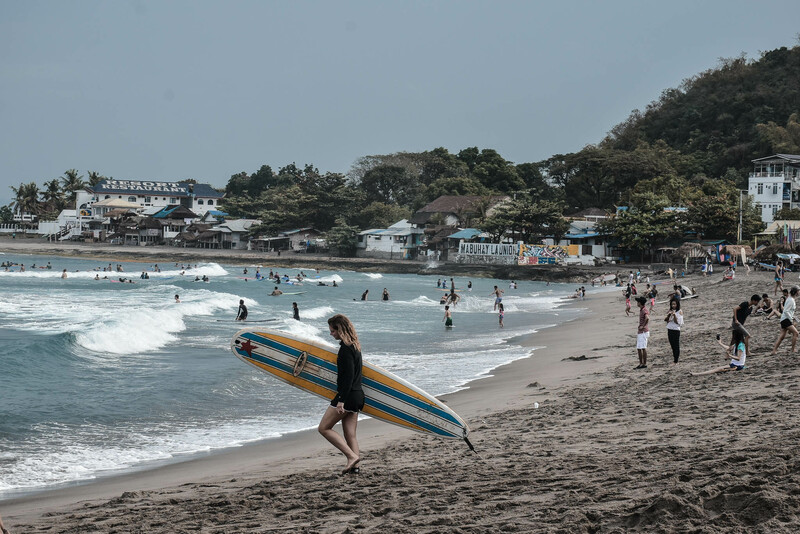 Surfing in La Union reportedly started back in the 70’s when a Japanese trained the locals to surf. But the father of the famous surfer Luke Landrigan – Brian Landrigan is credited for the popularity of La Union now in the surfing scene in the Philippines. Surfing in La Union Urbiztondo Beach costs PHP 400 (USD 8/SGD 11/MYR 34) per hour with instructor and surf board and PHP 500 (USD 10/SGD 14/MYR 42) for half day lesson (surf board rental separate charge). PHP 200 (USD 4/SGD 5.38/MYR 17) for surf board rental per hour. Take a bus bound for La Union and alight at tell the conductor you are getting at Urbiztondo Beach in San Juan La Union. Bus fare to la Union from Manila is PHP 400 (USD 8/SGD 11/MYR 34). Travel time is 5 to 7 hours depending on traffic or where you are coming from. If you are staying in San Fernando, La Union, you can just ride a jeep to San Juan and alight at Urbiztondo Beach. Fare is PHP 11 (USD 0.22/SGD 0.30/MYR 0.93). Alternatively, if you are in a group, you may take a tricycle to Urbiztondo Beach from downtown La Union for PHP 50 (USD 1/SGD 1.35/MYR 4), good for two or PHP 100 (USD 2/SGD 3/MYR 9), good for 4 persons. Tangadan Falls in San Gabriel La Union lures weekenders who seek other adventures in La Union aside from surfing. Be warned that trekking is involved here, you need to hike for about an hour to get to the waterfalls. The trail is pleasantly forest-fringed and requires river trekking. 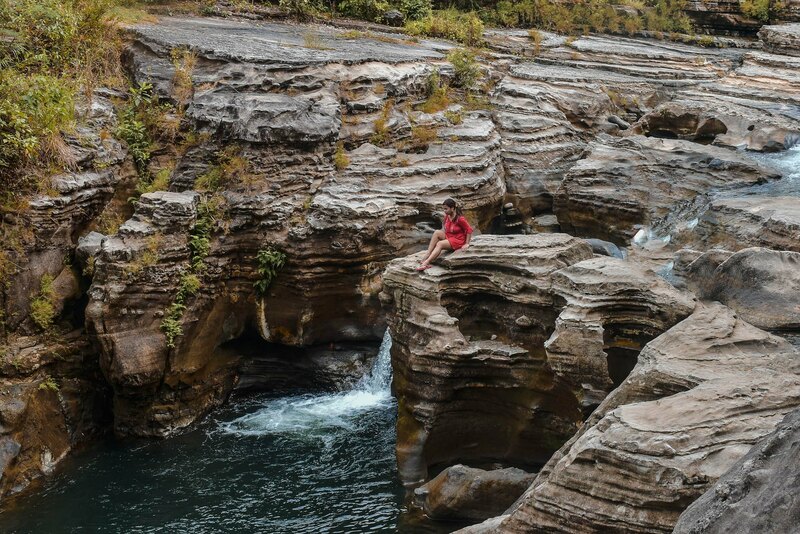 There are 2 key falls here, the first one you’ll encounter is a perfect place for cliff jumping, while the main falls – Tangadan Falls is perfect for swimming. Life jackets are for rent for PHP 50 (USD 1/SGD 1.35/MYR 4). 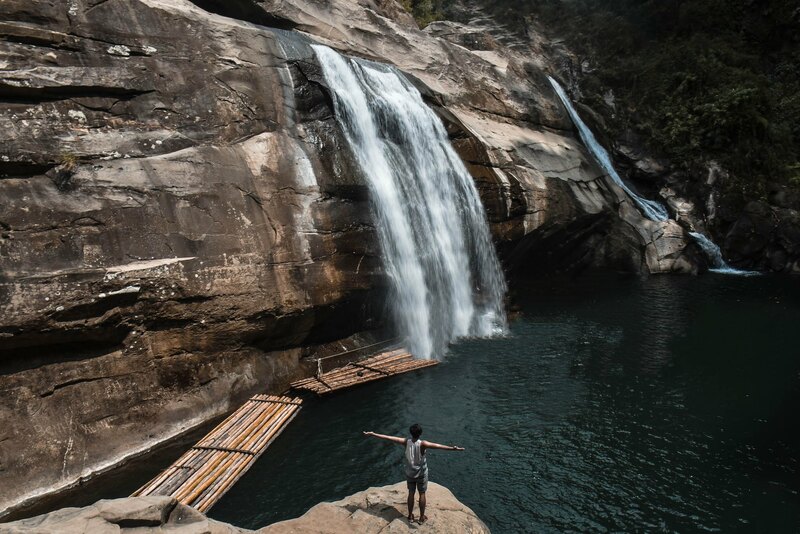 Bamboo rafts are also available at the main waterfall. From San Juan or San Fernando La Union, ride a jeep to San Gabriel. Tell the driver you are going to Tangadan Falls so he can drop you at the tricycle lane bound for the waterfalls. Jeep drivers in La Union are really helpful, so don’t be shy to ask. Jeep fare to San Gabriel is PHP 19 (USD 0.38/SGD 0.51/MYR 1.61). Charter a tricycle to the trailhead to Tangadan Falls, fare is PHP 50 (USD 1/SGD 1.35/MYR 4) or PHP 25 (USD 0.49/SGD 1.35/MYR 4.23) per person. At the checkpoint, pay the PHP 30 (USD 0.59/SGD 0.81/MYR 2.54) entrance fee per person. At the trailhead, hire a guide to take you to Tangadan Falls, guide fee is PHP 500 (USD 10/SGD 13/MYR 42). Alternatively, from San Juan or San Fernando, you can charter a tricycle to Tangadan Falls jumping-off point for the trek. Just approach a tricycle driver or hail a tricycle. Fare is PHP 500 (EURO / USD 10/ SGD 13/ MYR 42), one way, good for 3-4 persons. Guide fee not included yet. 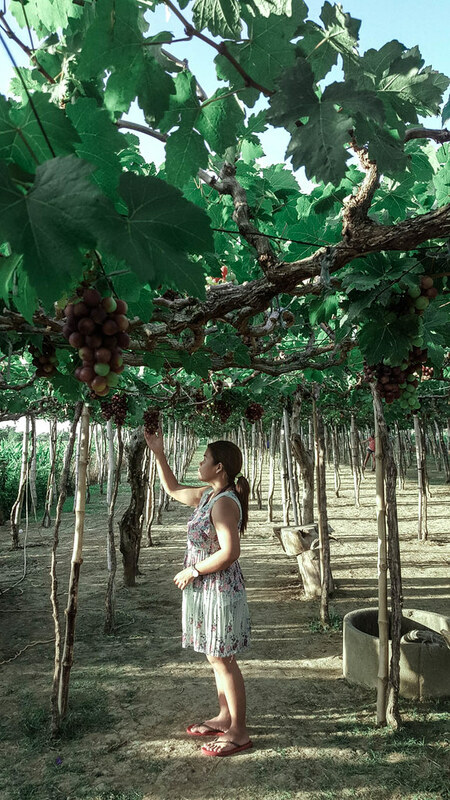 Thanks to the recent rise to fame of La Union Grape Farms located in Bauang, La Union, Filipinos are now aware that there are grape farms in the Philippines. But when is the best time to visit the La Union Grape Farm? Grape picking season in La Union usually falls around March to May. But best to contact the grape farms in advance to be sure. Despite the popular belief that Avelino Lomboy, dubbed as the “King of Grapes in the Philippines” and owner of Lomboy Farm started the first vineyard in the Philippines, Gapuz Grape Farm which we visited claims that Alfonso Aromin was actually of the first grape growers in La Union. He is the owner of Aromin’s Vineyard founded in 1971. 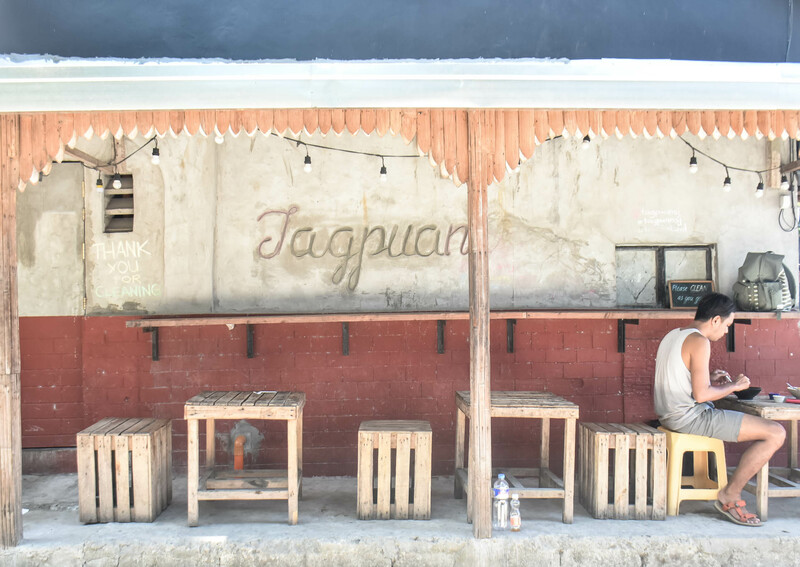 If you are coming from San Juan, you may take ride the jeep to San Fernando and instruct the driver to drop you off at the jeep terminal to Bauang, La Union. Ride the jeep to Bauang and tell the driver you are alighting at Brgy. Urayong. Jeep fare to Bauang, La Union is PHP 11 (USD 0.22/SGD 0.30/MYR 0.93). Alight in front of Bauang Church and rent a tricycle to La Union Grape Farm. There are many grape farms in Bauang so just tell the driver where you want to go. Some of the popular grape farms in La Union are: Gapuz Grape Farm, Mangguera Grape Farm, Lomboy Grape Farm and Calica Grape Farm. One way tricycle fare is PHP 100 (USD 2/SGD 3/MYR 8). But since the grape farms are far from the town proper, I suggest you talk to the driver and ask him to wait for you for your return trip. You can negotiate the amount for your return and wait time. Otherwise, you can hire motorcycles to take you back to Bauang Proper or to the highway where you can wait for buses back to Manila. 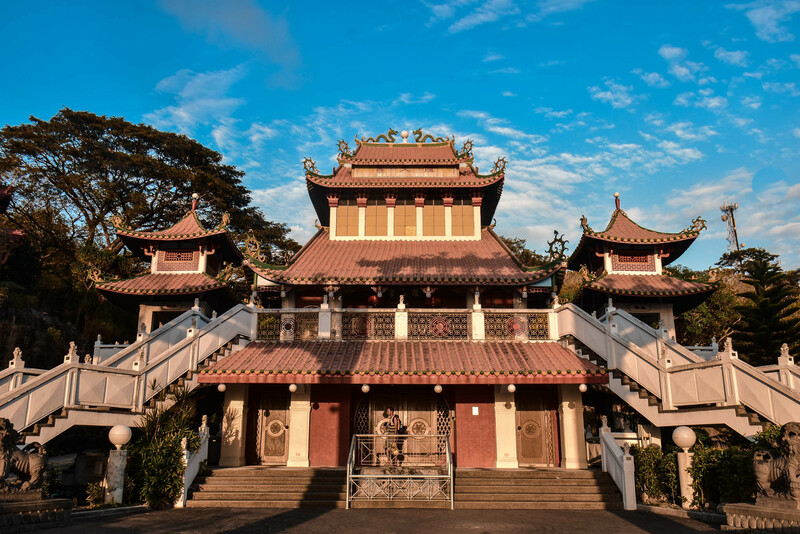 The 7-storied Macho Temple in San Fernando, La Union is blissfully standing on a hill. This Taoist Temple is dedicated to Mazu, a Chinese sea-goddess. Must-see here are the Liang Thing Pagoda, the Bell Tower and the Drum Tower, the Majestic Five Door Gate, the Bamboo Garden and the golden emblem of the dragon. From San Juan, La Union, ride the jeep to San Fernando. Fare is PHP 11 (USD 0.22/SGD 0.30/MYR 0.93). In San Fernando, hire a tricycle to take you to Macho Temple. Fare is about PHP 10 (USD 0.20/SGD0.27/MYR 1) – PHP 20 (USD 0.39/SGD 0.54/MYR 2) per person. 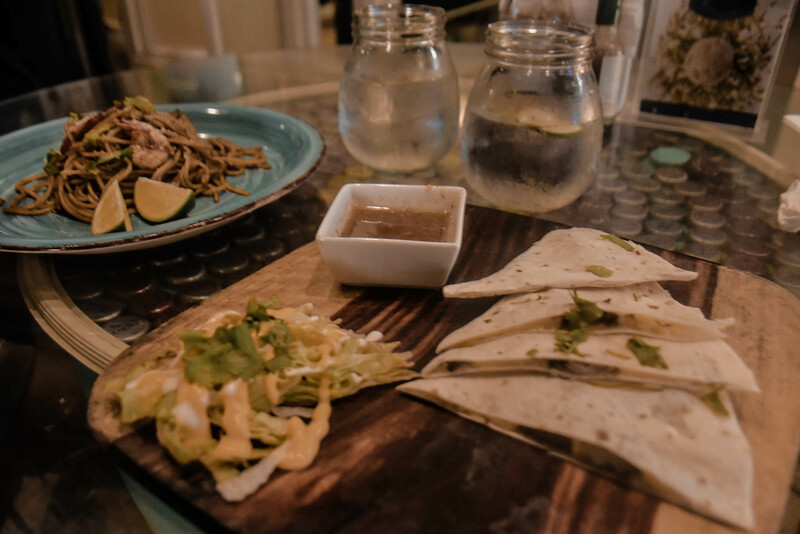 If you’re in Luna, La Union, don’t miss the charming Balay na Bato in Brgy. Nalvo Norte fronting the azure pebble beach. This small yet stylish house was built out of woods and pebbles from the nearby beach. The house is peppered with stone sculpture created by a Korean named Bong Kim. 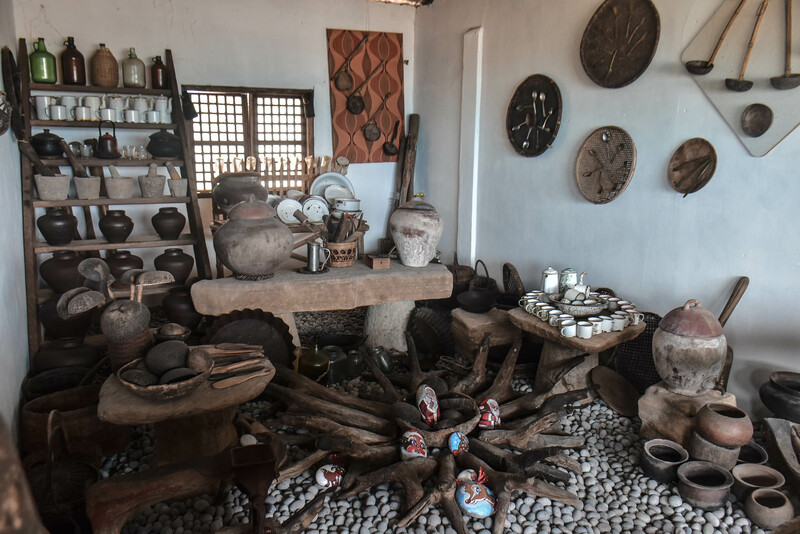 There is also a 3D House inside the Balay na Bato vicinity and a gallery showcasing handcrafted goods and textiles that visitors can buy as souvenirs. Entrance fee is PHP 30 (USD 0.59/SGD 1/MYR 3). From San Fernando or San Juan, ride a jeep to Luna town. Fare is PHP 30 (USD 0.59/SGD 1/MYR 3). At Luna, charter a tricycle to take you to Balay na Bato, one way fare is PHP 50 (USD 1/SGD 1.35/MYR 4), good for two persons. 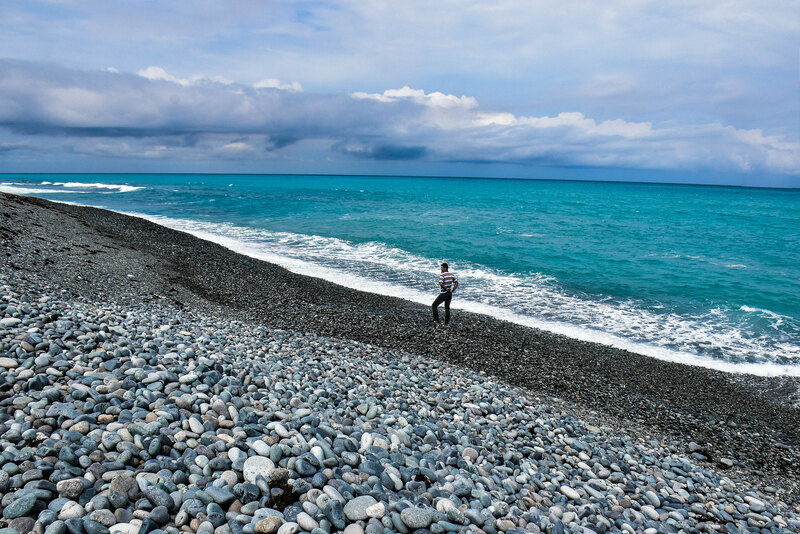 La Union is pretty known for its picturesque pebble beaches and you can find them sprinkled in the town of Luna. While the Pebble Beach Resort is where most tricycle drivers will take you, I recommend going to the one near Balay na Bato instead. Because the former is almost stripped of pebble beaches, same with the pebble beach near Luna’s Watch Tower. The Pebble Beach near Balay na Bato is still fringed with smooth pebbles. But I wouldn’t be surprised if in the future they become devoid of pebbles because it seems the local government unit is not prohibiting the locals from gathering and selling the pebbles. Which is unfortunate if you ask me. From San Juan or San Fernando, board a jeep to Luna. Fare is PHP 30 (USD 0.59/SGD 1/MYR 3). At Luna, ride a tricycle to Balay na Bato, one way chartered fare is PHP 50 (USD 1/SGD 1.35/MYR 4), good for two persons. 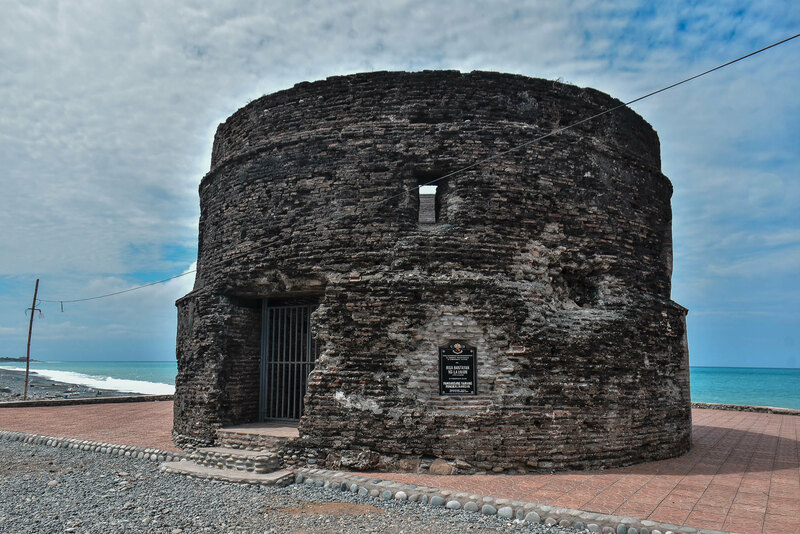 Luna’s Watchtower is strategically located along the coast near the town center. It was built in the olden day to warn the citizens of impending raids. From San Fernando or San Juan, ride a jeep to Luna town. Fare is PHP 30 (USD 0.59/SGD 1/MYR 3). At Luna, charter a tricycle to take you to Luna Watchtower. Once you reach Luna, the beautiful Namacpacan Church (Santa Catalina de Alexandria Church) crowning the town center will welcome you. 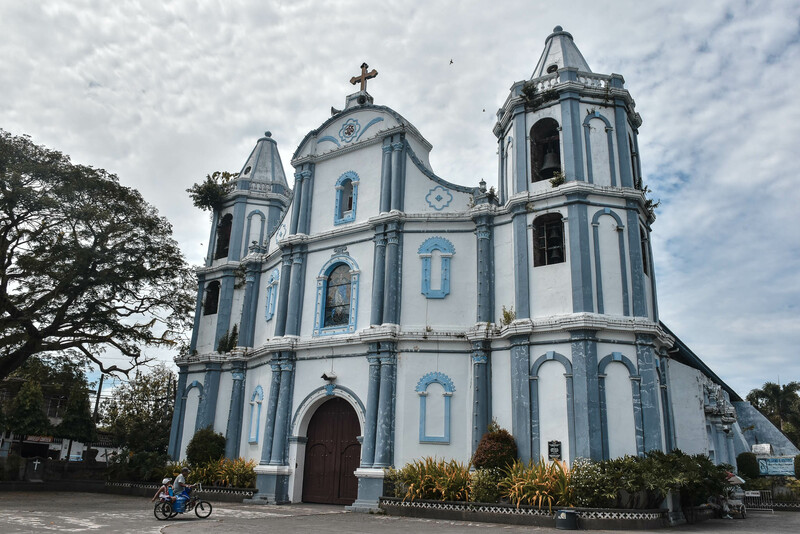 This beautiful Baroque Church was declared a National Cultural Treasure. Inside the church lies the image of Apo Baket, a venerated image of the Virgin Mary believed to be miraculous. Hop on a jeep to Luna Town from San Juan or San Fernando. Fare is PHP 30 (USD 0.59/SGD 1/MYR 3). Alight at the town center near Luna’s Church. 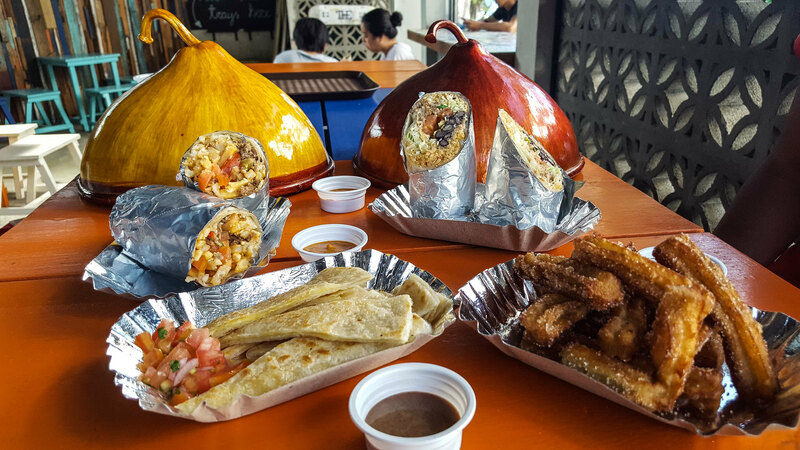 One of the top things to do when in La Union is food trip. San Juan is peppered with stylish restaurants. Here are some of our favorites. 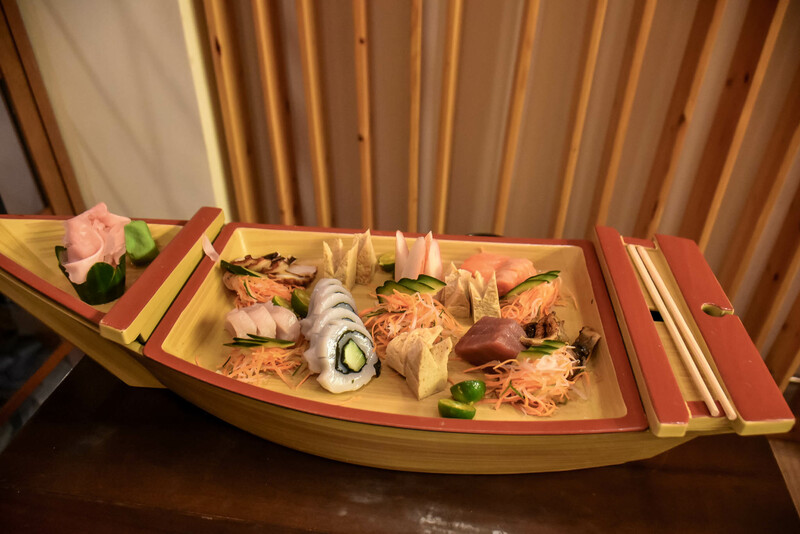 We actually tried more restaurants, but we didn’t like the food, so I didn’t include it in this list. I’ll write a more detailed review soon. 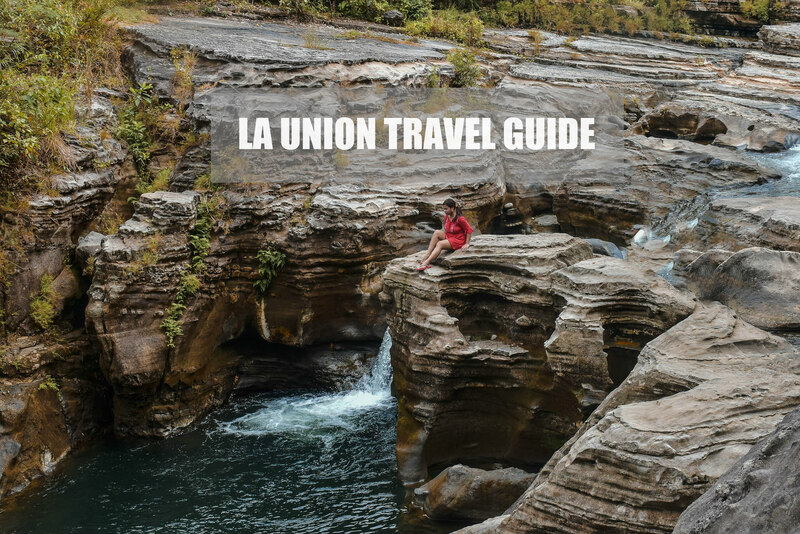 Here’s a sample La Union 2 days 1 night itinerary, perfect for travelers who wants to spend a weekend here . Feel free to adjust this based on your schedule and budget. The budget mentioned is based on two persons traveling to La Union. 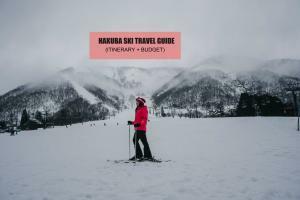 I also blogged about the expenses for each activities below. 12:00 AM PHP 436 (USD 9/SGD 12/MYR 37) ETD Manila to La Union (San Juan) via Partas Bus to Vigan or Laoag from Cubao. Tell conductor you are alighting at Urbiztondo Beach, San Juan, La Union. If your hotel is in San Fernando, ride the bus to San Fernando, La Union. 06:30 AM PHP 600 (USD 12/SGD 16/MYR 51) Early check-in at Hotel or leave luggage. 08:30 AM PHP 50 (USD 1/SGD 1.35/MYR 4) Or PHP 25 (USD 0.49/SGD 1.35/MYR 4.23) per person ETA San Gabriel town. Hire tricycle to Tangadan Falls jumping-off point for the trek. 09:00 AM PHP 30 (USD 0.59/SGD 0.81/MYR 2.54) ETA Trailhead to Tangadan Falls. Pay the Entrance fee. 09:15 AM PHP 500 (USD 10/SGD 13/MYR 42) , if you are a party of two, it’s PHP 250 (USD 5 /SGD 7/ MYR 21) per person Hire a guide and start trekking to Tangadan Falls. One guide is good for 1- 6 persons. Since we are a party of two, I’ll divide the guide fee by 2. 10:15 AM ETA Tangadan Falls. Cliff jumping, swimming and relax. 12:15 AM Trek back to trailhead. 01:15 PM PHP 50 (USD 1/SGD 1.35/MYR 4) Or PHP 25 (USD 0.49/SGD 1.35/MYR 4.23) per person ETA Tangadan Falls trailhead. Charter tricycle back to town proper. 01:45 PM PHP 19 (USD 0.38/SGD 0.51/MYR 1.61) ETA San Gabriel Town Proper. Ride jeep back to San Juan or San Fernando. 02:15 PM ETA San Juan, La Union. Back to hotel. Freshen up. 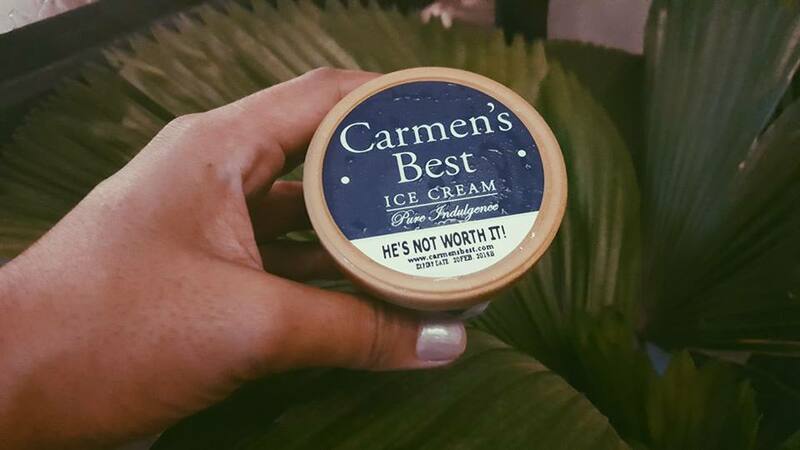 03:00 PM PHP 400 (USD 8/SGD 11/MYR 34). Surf lesson in Urbiztondo Beach. Swimming. 06:00 PM Back to hotel. Freshen up. 07:00 AM Breakfast. Hotel check-out. You can bring luggage or leave luggage at hotel and pick it up later. 09:00 AM ETA Luna. Visit and photograph Luna Church and Antonio Luna’s Statue. 09:30 AM PHP 50 (USD 1/SGD 1.35/MYR 4) Or PHP 25 (USD 0.49/SGD 1.35/MYR 4.23) per person Hire tricycle to Pebble Beach near Balay na Bato. 09:45 AM ETA Pebble Beach. Photo op. 10:00 AM Walk to Balay na Bato. 10:05 AM PHP 30 (USD 0.59/SGD 1/MYR 3). ETA Balay na Bato. Pay entrance fee. 11:05 AM PHP 50 (USD 1/SGD 1.35/MYR 4) Or PHP 25 (USD 0.49/SGD 1.35/MYR 4.23) per person ETD Balay na Bato. Hire trike back to Luna Town for Luna Watchtower. 11:25 AM PHP 50 (USD 1/SGD 1.35/MYR 4) Or PHP 25 (USD 0.49/SGD 1.35/MYR 4.23) per person ETA Luna Watchtower. Ask driver to wait and hire tricycle back to Luna Town proper. 11: 45 PM PHP 30 (USD 0.59/SGD 1/MYR 3) ETA Luna Town proper. Jeep to San Fernando, La Union. 12:45 PM PHP 20 (USD 0.39/SGD 0.54/MYR 2) ETA San Fernando. Tricycle to Bahay de Iloko. Wait in line to enter. 01:00 PM PHP 250 (USD 5 /SGD 7/ MYR 21) Late lunch at Bahay de Iloko. 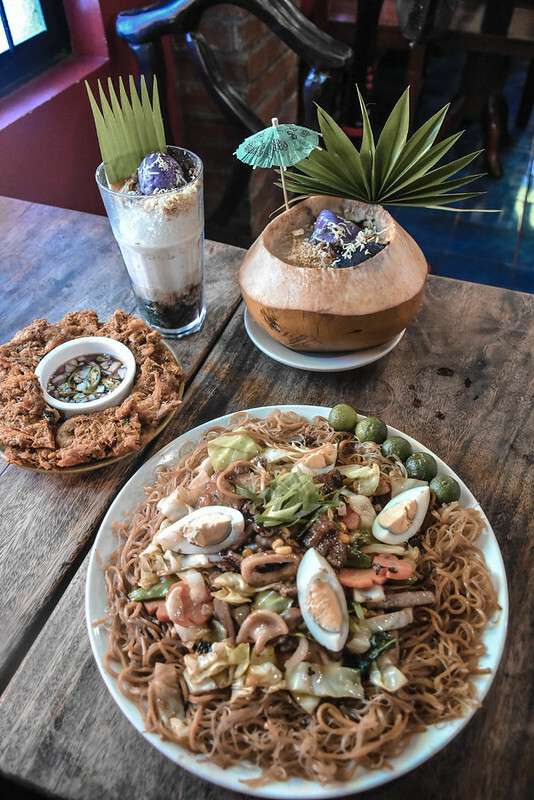 Try their halo-halo. 01:45 PM PHP 50 (USD 1/SGD 1.35/MYR 4) Or PHP 25 (USD 0.49/SGD 1.35/MYR 4.23) per person Tricycle to Macho Temple. Uphill. 02:00 PM ETA Macho Temple. Explore. 02:30 PM PHP 20 (USD 0.39/SGD 0.54/MYR 2) Tricycle to jeep terminal for Bauang, La Union. Or if you’ve left your luggage in your resort or hotel in San Juan, you can ride jeep back to San Juan and pick it up. Ride jeep back to San Fernando. 02:40 PM PHP 11 (USD 0.22/SGD 0.30/MYR 0.93) Jeep to Bauang, La Union. Tell the driver you are getting off in front of Bauang Church. 03:50 PM PHP 100 (USD 2/SGD 3/MYR 8)/ 2 = PHP 50 (USD 1/SGD 1.35/MYR 4) per person Alight at Bauang Church. Hire tricycle to Bauang Grape Farm. Pick one: Mangguere Grape Farm, Gapuz Grape Farm, Lomboy Grape Farm or Calica Grape Farm. 04:15 PM PHP 20 (USD 0.39/SGD 0.54/MYR 2) ETA Grape Farm. Pay photography fee or entrance fee depending on the Grape Farm you are visiting. Buy grapes, wine or souvenirs. Ask driver to wait, negotiate fee back to town or highway and waiting time. 05:00 PM PHP 100 (USD 2/SGD 3/MYR 8) / 2 = PHP 50 (USD 1/SGD 1.35/MYR 4) per person Tricycle to the highway. 05:15 PM ETA Highway. Wait and hail bus back to Manila. 06:00 PM PHP 436 (USD 9/SGD 12/MYR 37) Ride bus to Manila. This budget of approximately PHP 3,145 (USD 62/SGD 85/MYR 267) -for La Union trip (2 days 1 night) is if you are a party of two, and you stick to a PHP 150 (USD 3/SGD 4/MYR 13) per meal budget and supposing you are able to book a room for PHP 600 (USD 12/SGD 16/MYR 51) per person. 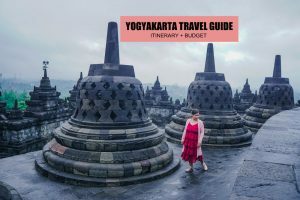 This budget can go lower if you’re not doing the other activities, for example the grape farm (if it’s not grape picking season) or the surfing lesson (if you know how to surf, you can just rent a board for PHP 200 (USD 4/SGD 5.38/MYR 17). You can also book cheaper rooms for PHP 300 (USD 6/SGD 8/ MYR 25) per person (see the list of best budget hotels/resorts in La Union). If you are traveling solo to La Union and you will follow the itinerary above, La Union trip budget for 2 days 1 night is about PHP 3,751 (USD 74/SGD 101/MYR 318). You can bring this down if you’re able to book a cheaper room or if you join other tourists to Tangadan Falls (perhaps approach them or talk to them at the trailhead to Tangadan falls and share the guide fee). Here’s a list of possible expenses that you might incur when traveling to La Union and visiting the places I mentioned above. PHP 436 (USD 9/SGD 12/MYR 37) Bus fare from Manila to La Union. PHP 30 (USD 0.59/SGD 0.81/MYR 2.54) Tangadan Falls entrance fee. May I know where was the last photo taken? The one where you’re at a rock cliff. It’s in Tangadan Falls. On the way to the main falls. Thanks for the info. very helpful to newbies at North.